An article has been published in AMBIO which describes and summarises the evaluation of a regional subsidy scheme in central Norway, which used ecological ranking of fields to guide the allocation of subsidy payments. 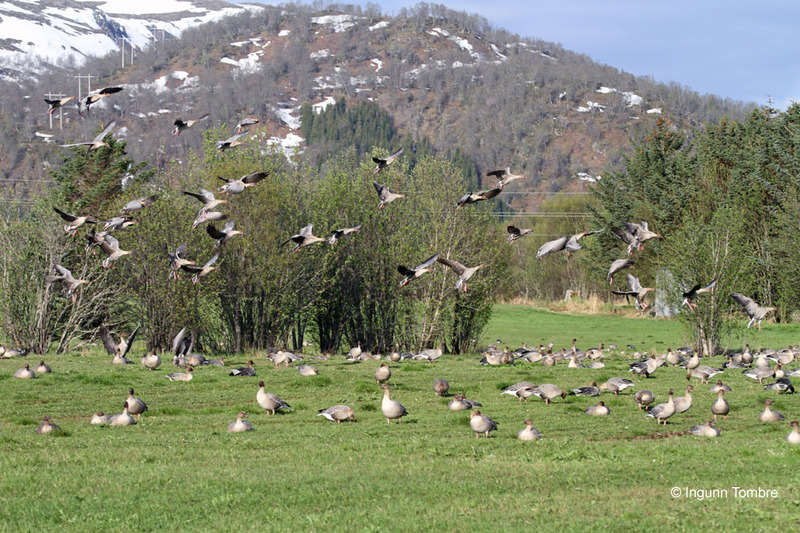 In 2006 a regional subsidy scheme was introduced in Nord-Trøndelag, central Norway to allow pink-footed geese to forage on pasture and arable lands during their stop-over stays whilst on spring migration. In previous years intensive feeding on pastures and newly sown cereal fields were the cause of escalating conflicts with farmers. To aid the identification of fields most susceptible to goose grazing a system was developed for ranking all fields in the region according to their suitability for pink-footed geese. This ecologically based tool was used by the regional authorities, from 2009 onwards, as the basis for prioritizing and allocating subsidies to farmers to create areas to accommodate the geese. The article presents the results from this study and it is published online with open-access in AMBIO. A PDF copy is also available in the Publications section.